Do you have a Big Lebowski fan in your life? Do they have a little Dude? Then they need this bib!!! This bib is not for your average baby, it will definitely grab the attention of anyone who sees it. 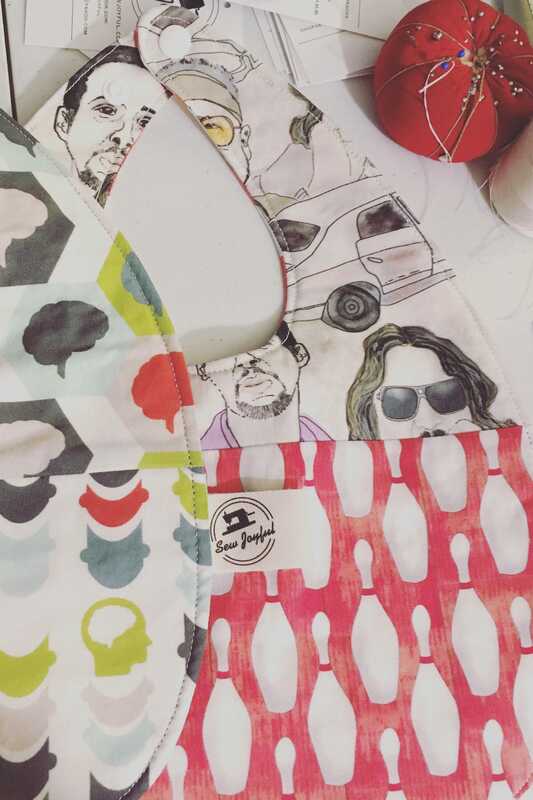 This baby bib is handmade with 100% cotton fabric custom designed by Susiprint on spoonflower.com, a bamboo quilters batting for maximum absorbency and several plastic Kam snaps to adjust the neck as baby grows.